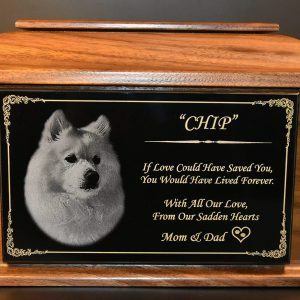 Have your favorite photo laser engraved onto our beautiful imported Onyx Marble for a truly breathtaking personalized memorial in remembrance of your beloved pet. 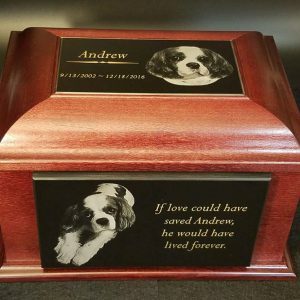 “Etched In My Heart” Marble Pet Urns are handcrafted in the United States with great detail and care. The Marble is imported from Italy for these unique Pet Cremation Urns. 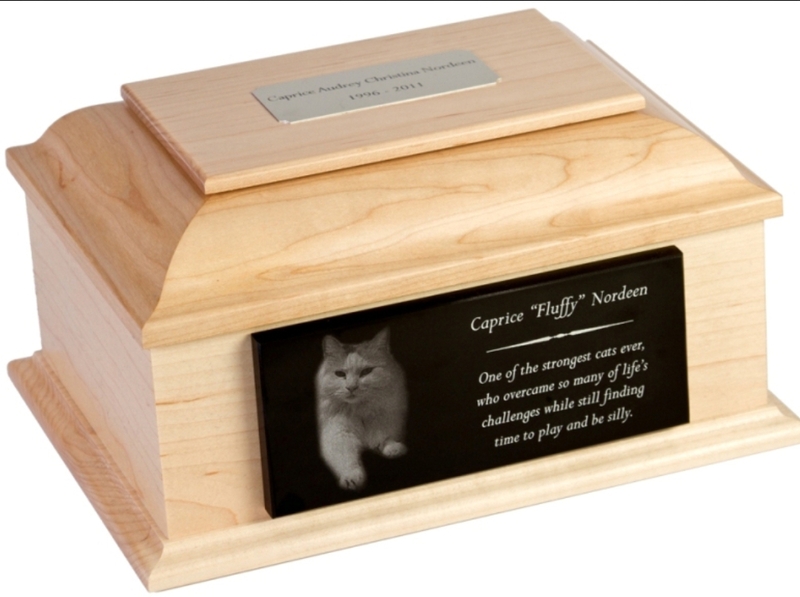 Each one of a kind urn is designed exclusively for your pet according to your specifications. 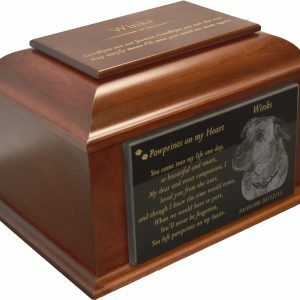 We help you design your Pet Urn every step of the way even providing you with poems and phrases to choose from. 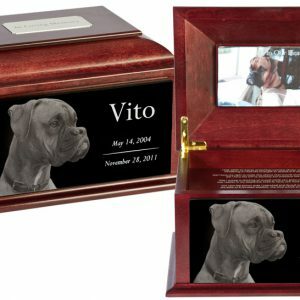 Your photo is etched on a high gloss marble giving the appearance of an extremely life like representation of your pet. The Onxy marble is polished twice before engraving and text is filled with Gold or Silver Inlay for a brilliant contrast with the marble. Black Onyx marble is very rare and difficult to find as it contains no veining. Traditional marble contains white vertical lines referred to as veining. These lines are a result of phosphorus deposits. With our marble all you see is a high gloss finish with impeccable detailed engraving. Personalized inscription on the marble can be etched in gold or silver tone inlay for a more brilliant contrast.